The concert titled "Troja Sonata" was held at Congresium Ankara. To honor the president, Say changed the order of the concert to begin with "Kara Toprak," one of legendary Turkish musician Aşık Veysel's most famous songs. After the performance of "Troja Sonata," the audience gave Say a standing ovation. 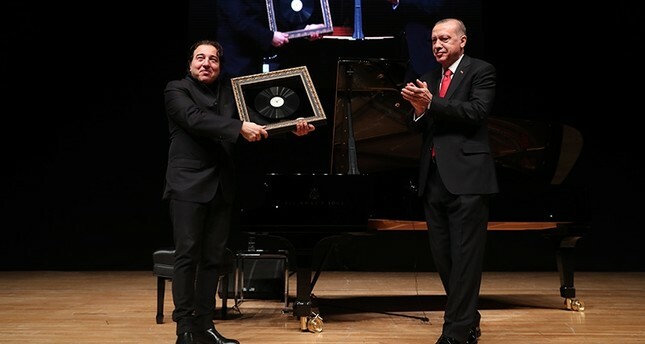 Following the concert, Erdoğan spoke with Say, who is known for his dissident views, and presented him with a framed record of Veysel's.